IRISH FARMERS HAVE said that a judgement to award a hillwalker a €40,000 settlement is of “serious concern”. Teresa Wall was awarded the damages against the National Parks and Wildlife Service on Friday after injuring herself on a boardwalk on the Wicklow Way in 2013. Judge Jacqueline Linnane, who presided over the case, said that Wall had taken necessary precautions and there had been no contributory negligence on her part. 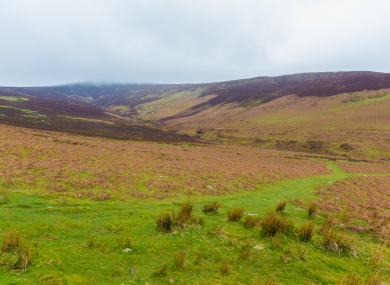 In a statement this morning, IFA Hill Commitee Chairman Pat Dunne has said that although the judgement refers to property owned by the National Parks and Wildlife Service, “farmers will be very wary of the consequences where hill walkers ramble off designated routes”. He said that the issue was being discussed by the Comhairle na Tuaithe, an organisation within the Department of the Environment made up of farming organisations and other parties with an interest in the countryside. The aims of these discussions are to give reassurance to farmers that they will not be held culpable if a similar incident were to happen on their land. Speaking on RTÉ’s Morning Ireland programme, Mountaineering Ireland – the representative body for Ireland’s hill walkers and climbers – said that it supported the award being overturned. “Our concern about this judgement is that it seems to contradict the well-established principle that people who engage in hill walking or other outdoor recreational pursuits are responsible for their own actions,” said Helen Lawless, the group’s hill walking, access and conservation officer. While she said her organisation was sympathetic to Teresa Wall, it thought it “strange” that Judge Linnane had chose not to place any of the responsibility for the incident with her. Email “Farmers say €40,000 hill walker judgement a "serious concern" ”. Feedback on “Farmers say €40,000 hill walker judgement a "serious concern" ”.